Front Page » Business » Do lower levels of cholesterol protect your brain? You may have been encouraged to manage your levels of cholesterol, minimizing LDL (i.e., bad cholesterol) levels and increasing HDL (i.e., good cholesterol) levels. 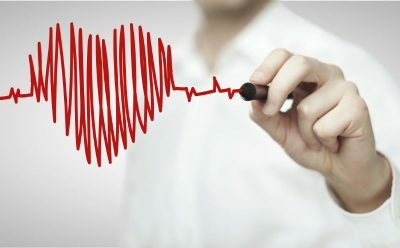 You may already know that lowering cholesterol levels is good for cardiovascular health, but you may be surprised to learn that a recent study also connected high cholesterol levels to a neurodegenerative disorder. A research project run by the NIA Intramural Research Program’s Laboratory of Neurogenetics recently found a relationship between cholesterol and amyotrophic lateral sclerosis (ALS). They discovered that having high cholesterol is linked to an increased risk of developing ALS. To reach their conclusions, the research team combed through a large amount of data. They investigated almost 21,000 ALS cases and over 59,000 control subjects. To handle the mass amount of data, the team consisted of scientists from the U.S., Canada, U.K., and various other European nations. However, it must be mentioned that most of their data focused on European populations, so it may be inaccurate to generalize the study’s conclusions to humans of all backgrounds. The researchers also noted that more studies, including randomized controlled trials, are required before we can make a definite causal link. What is high cholesterol anyway? Here’s a refresher: cholesterol is a waxy substance in your blood. It’s essential to bodily functions like making hormones and vitamin D. However, too much cholesterol can cause plaque to form in your arteries, a condition called atherosclerosis, which can then lead to coronary artery disease —a blockage of your arteries. When people talk about having high cholesterol, they really mean high levels of LDL. LDL is often nicknamed the bad form of cholesterol because it causes plaque to build up. HDL cholesterol is often considered the good form of cholesterol because it carries LDL cholesterol back to the liver to be excreted out of your body. Doctors are most interested in your ratio of HDL to LDL cholesterol. So you want high levels of HDL and low levels of LDL. ALS is a group of neurological diseases that affects the neurons responsible for voluntary muscle movement. The first symptoms of ALS include weakening muscles. Patients may experience muscle wasting, otherwise known as atrophy, and muscle twitching. Eventually, they may lose the ability to walk, talk, eat, and even breathe. Then, just three to five years after the first symptoms appear, ALS becomes fatal, with respiratory problems being a leading cause of death. Yet about 10% of ALS patients survive past 10 years. Other than potentially lowering your risk of ALS, having healthy cholesterol levels is good for other aspects of your health, too. So, if your cholesterol levels are elevated, you may want to make a few lifestyle changes to help reverse this. One of the best things you can do for your cholesterol levels — and your overall health — is to quit smoking. Smoking lowers HDL cholesterol, especially in females, while raising LDL levels. Being sedentary lowers your HDL levels. So you want to raise them by becoming more active. But you don’t need to become a gym rat or marathoner to do that. Instead, just keep in mind the government’s recommended 150 minutes of exercise per week for adults. This exercise can include moderate-intensity activity like brisk walking and wheelchair-rolling, which can be accomplished by most people. Saturated fat is present in meats, dairy, deep-fried foods, processed foods, and baked goods, as well as in chocolate. Trans fat is found in fried and processed foods. Eating too much of either of these fats can increase your LDL levels. Your doctor can help determine whether lifestyle changes are all it takes for you to attain healthy cholesterol levels or if you need more help from medications. A medication like rosuvastatin slows the rate of cholesterol production in your body and helps to lower your LDL cholesterol while increasing your HDL cholesterol. You can buy inexpensive rosuvastatin, also known as CRESTOR®, through online pharmacy referral services like Rx Connected. These services connect American patients with licensed pharmacies that offer substantially low prices due to stricter cost regulations in their home countries. You have the power to get your cholesterol levels healthy by making healthier decisions. While increasing exercise and decreasing fatty foods is easier said than done, remember that your hard work and investment today may mean a much healthier, happier, and comfortable time in older age — for both your body and your mind.